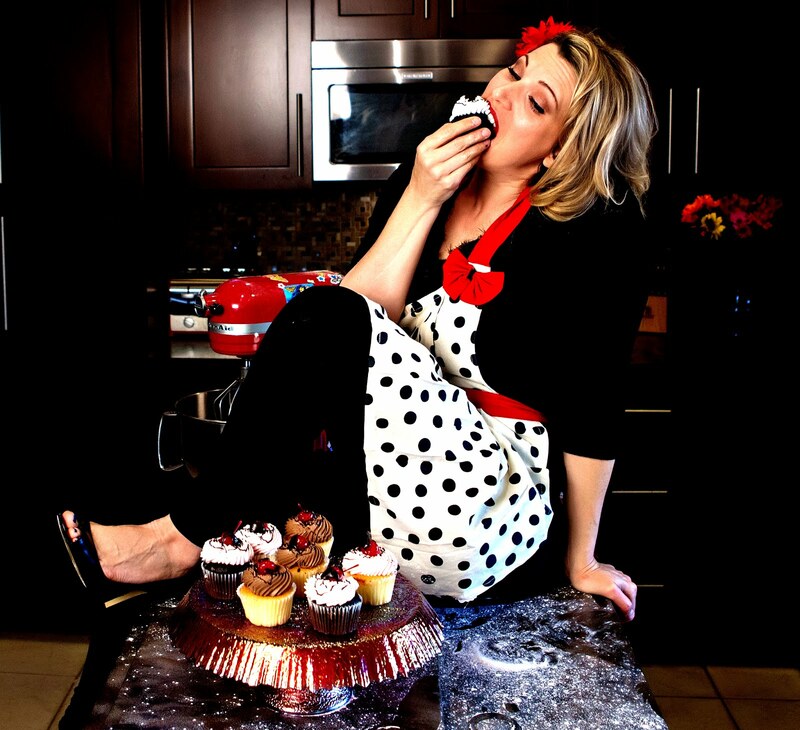 Phoenix Family Foodie Blog: Spotlight: Carol A. White aka "Miss KItty"
Spotlight: Carol A. White aka "Miss KItty"
Carol A. White aka "Miss Kitty"
You know I'm always gushing about how much I adore all my Real Women of Philadelphia. We saw Mindie Hilton's "ode" to bacon last week, but this week, I'm taking a special look at one of my favorite RWOP ladies. Carol A. White aka "Miss Kitty" has always sparked my interest because she not only has some SERIOUS skills in the kitchen, but she also manages to keep her Type II Diabetes in check with healthy eating, working out regularly and keeping a positive attitude. "I have managed my diabetes for about 19 years. I lost my father, mother, and 1 sister to disease. I am always looking for recipes and cooking tips to help me step towards a healthier lifestyle. It has not been an easy road for me, I have not always been the "Good Diabetic" but I will say that I am better informed than my parents; because they did not have the information available to properly take care of themselves." Now who is this "Miss Kitty" you ask? She calls this her "alter ego." Miss Kitty also loves to cook and she forgets that we are managing diabetes together. Both have a big sweet tooth and love good food with lots of flavor. So, my objective and challenge is to continue to test recipes that will allow us to build and keep flavors without compromising my health and well-being." Sounds like everything in moderation is the key to her success! I remember I first noticed her, or both of them, when I came across her Madelaine Chocolate Pops with Nutella Ganache. Oh. My. Gosh. I made them immediately and found myself shoveling giant spoonfuls of the ganache into my mouth before I could dip the cookies into them and get the sticks mounted. She says they're "Petite French Cakes which are the perfect marriage between cake and cookies, soft and moist with slightly crisp edges. Madeleine's dipped in a creamy Chocolate Ganache made with Philadelphia Cream Cheese, Nutella Hazelnut Spread, Semi-Sweet baking chocolate and heavy cream." I've been a huge fan of hers ever since. Carol, you brighten my day with your beautiful sense of humor, your stories of your past life here in San Diego and your personal trainer, Wade, with his sadistic ways! Everyone, I hope you take the time to look at her blog. 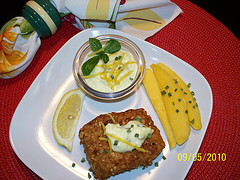 http://cwcafetoday.blogspot.com/ and become a follower. She really takes pride in her food, her family and her health. In the meantime, here's the recipe for the Madelaine Chocolate Pops! In a medium sauce pan heat cream, bring just to a boil and add Philly cream cheese, hazelnut spread, and baking chocolate. Whisk until smooth. Pour in a medium size bowl, allow Ganache to cool slightly. 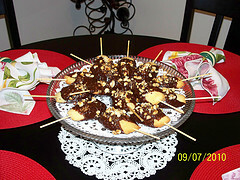 Take each Madeleine cake and insert wooden fruit skewers (about 4" long) in the smaller portion of the cake. Dip each cake into the Ganache and place on a baking rack or a large baking pan lined with parchment paper. Garnish with chopped hazelnuts and place on serving platter. For an extra treat, serve with a scoop of your favorite ice cream. Great Post and feature! Miss Kitty you always put a smile on my face. Your dishes are warm and comforting just like yourself. Thank you Mindie and Hoop thank you so much for the spotlight on your blog.